QC: Bring a Friend THIS WEEK!!! 👯‍♀️It’s finally here!! BRING A FRIEND TO CLASS WEEK!! 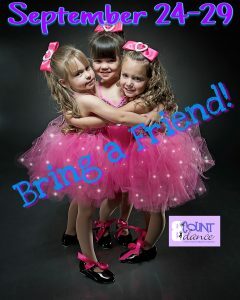 Share your love and passion for dance and acrobatic arts and bring your bff to class this week, Sept. 24-29! !